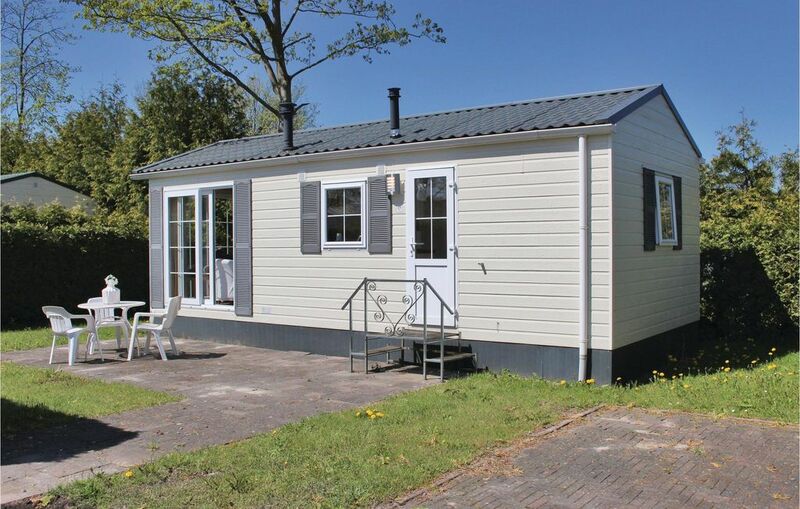 Holiday house for 2 persons in Friesland, Tzummarum. This cottage is located in the holiday park Wadden de Friese, which is very suitable for children. The holiday park offers some facilities, including an outdoor swimming pool with separate children's pool, a cafeteria, a playground, table tennis, a tennis court and a volleyball court. Bicycles can be rented at the reception. 1 double bedroom. There is plenty of storage space in the bedroom. The living room is cozy and pets are welcome. Harlingen is a picturesque port city, 14 km away. In Harlingen, the ferry to the islands of Terschelling and Vlieland, which are worth a visit in any case. 5 km from the house is located Franeker, known for the Elfstedentocht. Visit here the historic center and the planetarium.